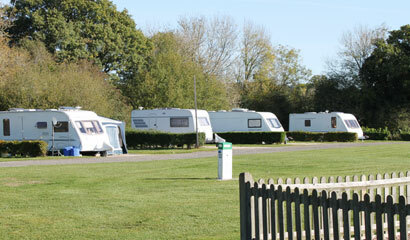 Sumners Ponds Campsite is set in tranquil West Sussex countryside amongst 100 acres of lakes, woodland and pasture. The campsite itself boasts high quality campsite facilities, acres of woodland, a working farm and fishing lakes. All this in a beautiful and secluded setting which is perfect for just relaxing, or for the more active, exploring the countless foot paths and safe cycle-ways within the site.